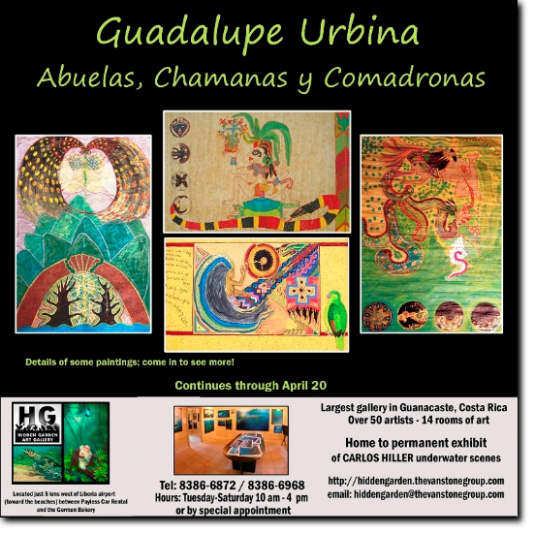 Guadalupe Urbina was born in the province of Guanacaste, Costa Rica. From her early childhood, the youngest of 10 children, she remembers her mother, Angelita, being her main source of inspiration. It was Angelita who introduced Guadalupe to traditional stories, songs and rhythms that later in life became her basis for her professional career. As an adult, Guadalupe became a world traveler. She represented her country’s musical tradition performing throughout Latin America and Europe, in Central and South Africa, the USA and Canada. Guadalupe’s songs find root in her life experiences, memories and dreams of her early childhood in the province of Guanacaste in Costa Rica. She understands the hardships of agricultural life, remembering how hard her mother worked to take care of her 10 children, her home and her land. It is therefore no surprise that Guadalupe can be found present in events that are about World Peace, Amnesty International, Women’s Liberation and Human Rights. In 1988, she performed at the National Stadium in Costa Rica with Bruce Springsteen, Sting, Tracy Chapman, Peter Gabriel and Youssou N’Dour . She is also a painter and writer. She paints with acrylics and oils using paper made from natural fibers found in tropical countries. Several of her paintings are available in limited edition museum quality Giclee prints. The biggest source of inspiration for her paintings is the creation myths of pre-Columbian Mesoamerica. She paints images that have deep philosophical meaning within rural indigenous or mestizo peoples such as quetzals, butterflies, snakes and trees in both distant and present time. 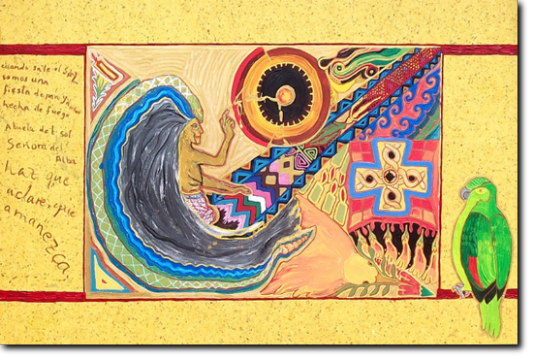 Her stories and songs are based on the myths and imagery of the peoples of pre-Columbian Mesoamerican. Sequences reflect the story of creation found in cosmogonist Costa Rican thought (including Bri-Bri, Boruca and Guaymi cultures, a living examples of centuries-old resistance to assimilation who have a love for nature), the Pop Vuh, the Book of Wisdom, and ancient Mayan, Aztecan and Mayan codices. Guadalupe represents the soul of Costa Rica for her people with these many dimensions of creativity! See the slide show from Guadalupe's exhibit here! Read about Guadalupe Urbina in La Nacion, Ancora. Exhibit Opening: March 15, 2012 in A.M. Costa Rica. Exhibit Opening: July 17, 2010.